and start loaning with the Friendly Planet team! Choose an entrepreneur and make a loan! As travelers, we encounter wonderful sights and sounds, culture, beauty, history and fascinating people. We also discover other things that are less wonderful, like how difficult it is to make a living and support a family in many countries. Too many hard-working people simply don't have the resources or opportunities to prosper. But there is a lot that we can do to change that—not by charity, but by lending. Just as businesses here in the U.S. usually need financing to get off the ground, entrepreneurs in developing countries often need loans to build successful businesses. Sometimes, a "micro-loan" of as little as $25 can help a seamstress in Uganda or a mechanic in Guatemala purchase the equipment or goods they need to expand their business and make it profitable and self-sustaining. Kiva is the world's first person-to-person micro-lending website, empowering individuals to lend directly to unique entrepreneurs around the globe. The people you see on Kiva's site are real individuals in need of funding. You pick who you want to loan to and how much, and Kiva sends you updates as the loan is repaid. 99% of the loans are repaid, and when you get your loan money back, you can relend to someone else in need. These loans help real people make great strides towards economic independence and improve life for themselves, their families, and their communities. 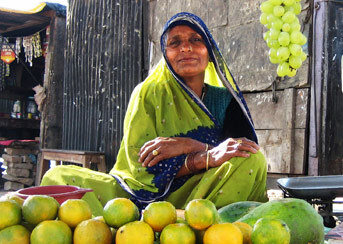 Using Kiva, we created our own Friendly Planet micro-lending team in 2009. For the first 40 members who made a loan, Friendly Planet added $25 more in loan money to their accounts, increasing our team's total loaning power by another $1,000! Since then, our team has continued to be a resounding success with our travelers, with our team members making 4,000 loans! We're asking all of our friends and travelers to join us in giving back to those amazing destinations we visit by joining us and lending through the Kiva program. Get involved and enjoy the tremendous satisfaction of being a part of a wide network of like-minded travelers who are working together to make this a truly friendly planet!